I am a chemical engineer. One of my first projects was to do with scaling up the results from a pilot plant that made plastics to the full-size facility. It turned out that scaling an industrial process can be tricky. For example, the volume of a vessel is proportional to its radius cubed, but the surface area is proportional to the surface squared. Hence heat transfer to and from the vessel required careful thought as the vessel size increased. 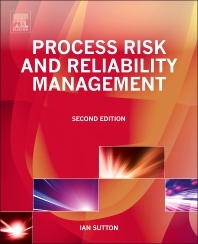 I have also spent many years analyzing the risk to do with large, complex industrial systems (chemicals, refining, pipelines, offshore oil and gas) and have published many books on these topics (the one that is probably most relevant to this discussion is Process Risk and Reliability Management). I thought about this background in scale-up and risk management when reading about the new and exciting Tesla truck, as discussed in Just One Week. Such a vehicle seems almost too good to be true. It is efficient, environmentally clean, quiet and — above all — trendy. And the logic seems to be inescapable: electric cars have proven themselves to be commercially feasible, so why not scale up to electric trucks? Diesel fuel is much more energy-dense than even the most modern batteries. A conventional, diesel-powered truck can haul 80,000 lb. of cargo for distances well in excess of 800 miles. If an electric truck is to achieve a range of 800 miles the battery pack will be so heavy that it will not be able to carry any cargo at all. The cost of the electric truck’s batteries alone is in the range $500,000 to $650,000, as compared with a complete diesel truck that is in the $100,000 $150,00 range. An electric truck would be able to carry cargo over shorter distances (but much less than 80,000 lb.) But the economics simply do not work out. The transportation business in highly competitive — a trucking company is not going to purchase an electric truck without some type of government subsidy. Even for short distances, such as shuttling containers from a ship to a waiting freight train, the Port of Los Angeles found that electric trucks did not make economic sense. It is possible that new battery technology — also discussed in Just One Week — may address some of these difficulties. But that remains to be seen. This site is about rail and hyperloop transportation, not about trucking. But there may be some lessons to be learned. We have to be careful that hyperloop does not become hyperloop. Specifically, does the maglev technology that is a fundamental part of hyperloop systems scale up successfully? For example, MagLev trains work and have been commercially successful for many years. But they have been successful in light-rail service such as airport shuttles. Will the technology scale up when faced with the challenge of supporting full-size, long distance passenger and high-value cargo traffic? I trust that the answer to this question is “Yes”. But my industrial background suggests that we should be cautious and that we should be careful to check out assumptions to do with the basic laws of physics.